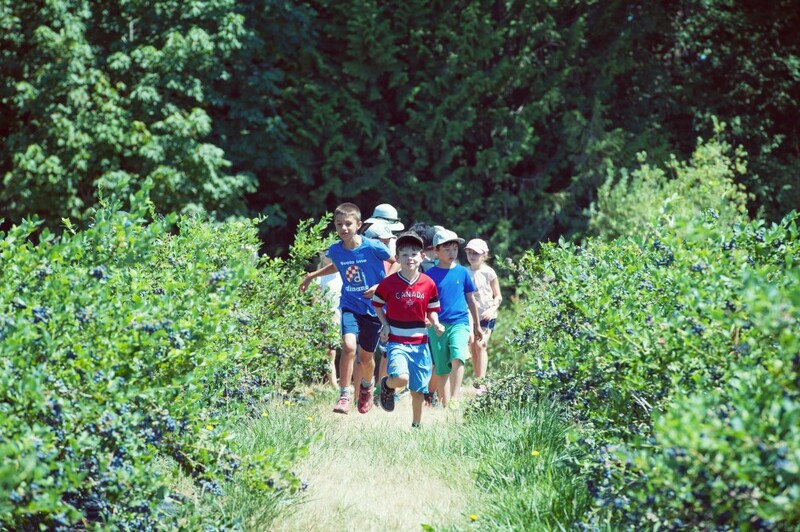 Celebrate your child’s birthday at the UBC Farm! FarmWonders at the UBC Farm offers an educational and fun birthday package for kids 3 to 16 years old through the spring and summer seasons. After the tour, you will have an hour booking in our Mongolian yurt for the rest of your birthday party activities and lunch! The room is a self-serve venue; you are welcome to decorate it however you like, bring food and drink and rearrange the tables and chairs while the children are touring the farm. May and June Dates: All booked! Contact us Monday through Friday, between 9:00 a.m. to 4:30 p.m.
Payments can be made by cheque or cash. To confirm a booking we request that the organizer visit the Farm Centre office and put down a 50 percent deposit or make the payment in full. Full payment is due by the booking date. Cancellations made after seven days from booking date will be subject to a 50 percent cancellation fee. No cancellations within 48 hours of the booking date. A 25 percent re-booking fee will apply if you change the date of your party within two weeks of the party date. Want to support the UBC Farm? As a non-profit society we depend on the revenue generated from our facility and the generosity of our donors to continue operating our community programs and research. Instead of birthday gifts, consider asking your guests and family to make a donation to the UBC Farm. They can donate online here or bring a cash donation to the party.